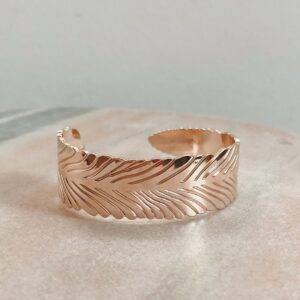 A cuff bracelet is always a good idea. How about 5! 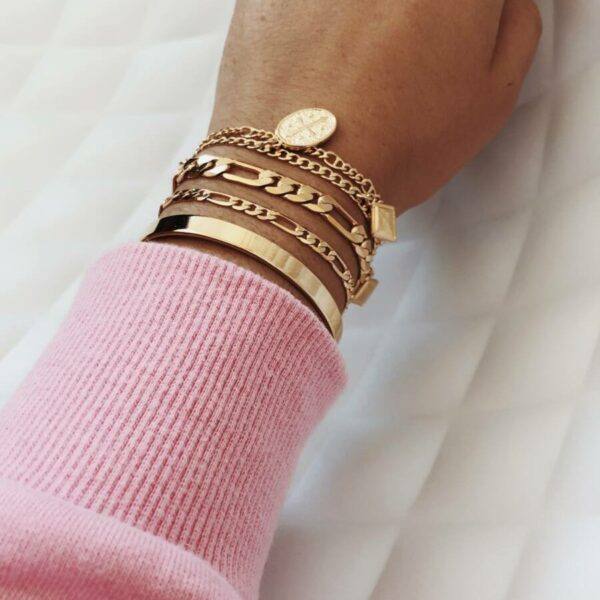 These beautiful combo of bracelets is made of gold plated brass (24k). Open band that makes it easy to slip on and off. 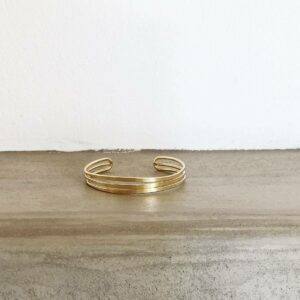 Tiana bracelet is made of gold plated brass and it has two bars at each end. It has an open band that makes it easy to slip on and off. 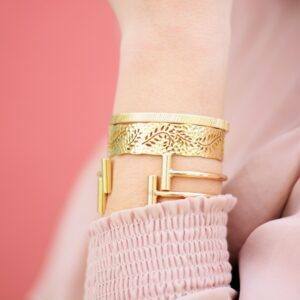 Metal bracelet made of gold plated brass. Open band that makes it easy to slip on and off. 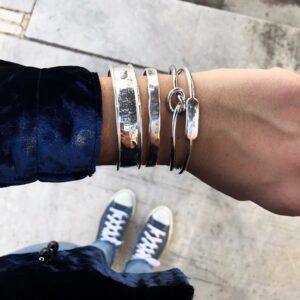 This beautiful combo of bracelets is made of silver plated brass. 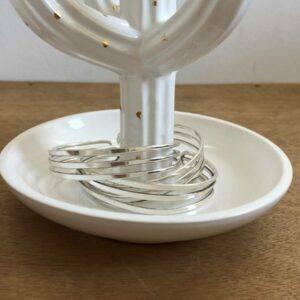 Each bracelet has an open band that makes it easy to slip on and off. 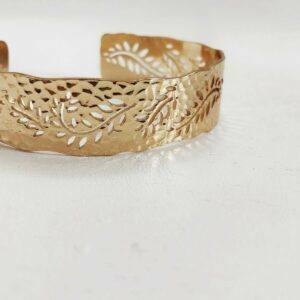 This charming filigree bracelet is made of gold plated brass. It has an open band that makes it easy to slip on and off. Wear it solo or enhance your look wearing it on both wrists at the same time. 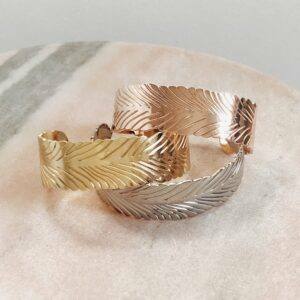 This charming leaf bracelet is made of brass available in gold, silver and rose gold plated brass. It has an open band that makes it easy to slip on and off and looks especially cool worn higher on your arm. 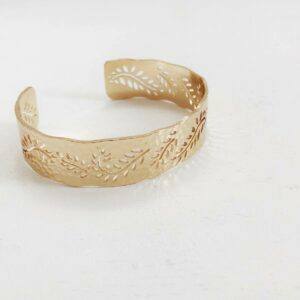 This beautiful combo of bracelets is made of gold plated brass. 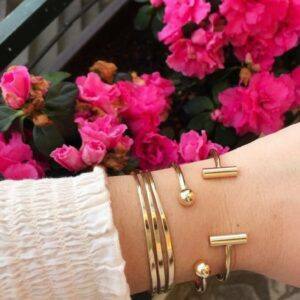 Each bracelet has an open band that makes it easy to slip on and off. 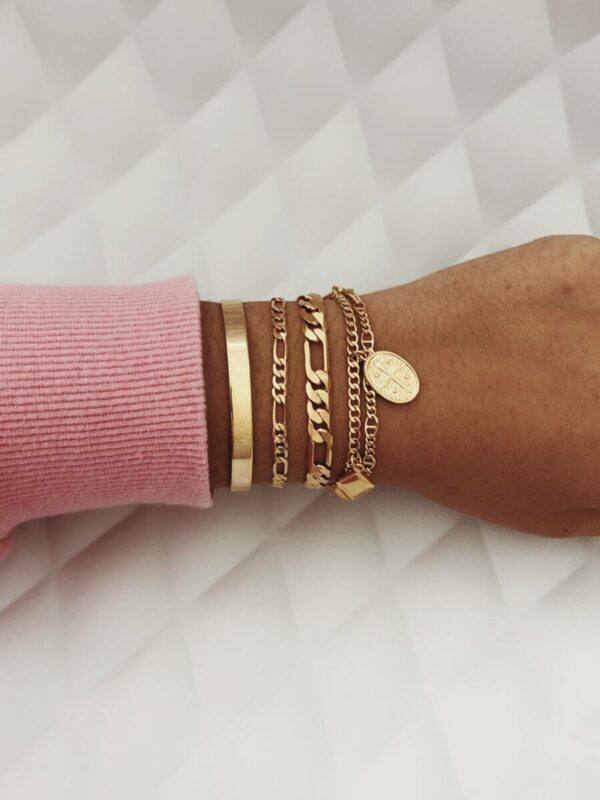 Chain bracelet strung with cross and rhombus pendants made of gold plated brass. Closes with a lobster clasp closure. 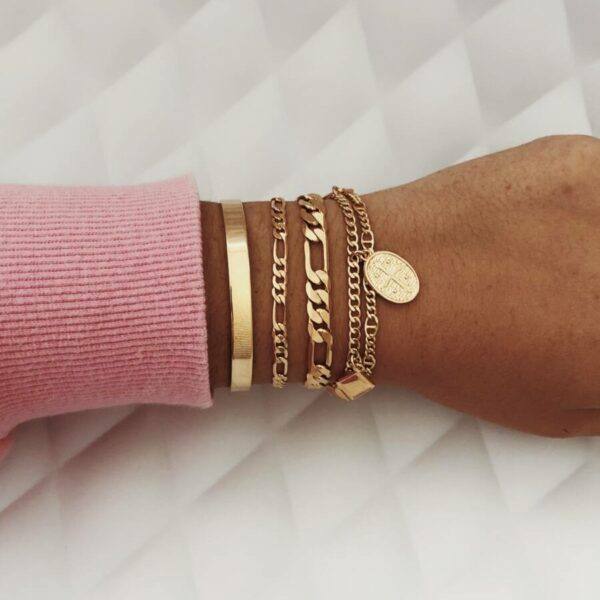 The Everly chain bracelet is made of gold plated brass and is available in 3 sizes 17 cm, 18 cm, 19 cm.